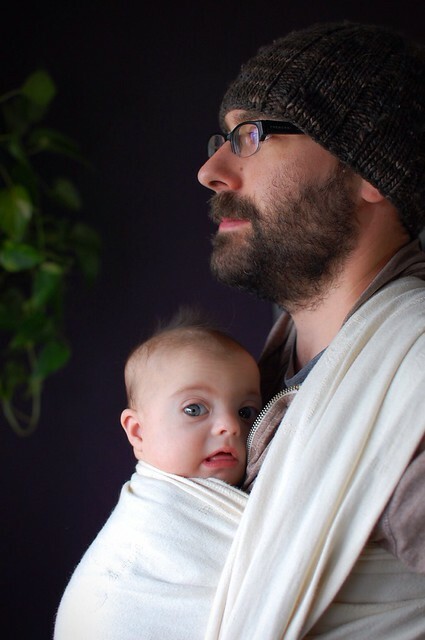 Babywearing daddies are the best aren’t they? Well ok then! But he hasn’t reached for his Ergo once, instead he’s morphed into a wrapper. Cop’s a snugglebug you see, and he likes to be as close and tight as possible. And right now it’s mighty cold out. And wrapping is mighty cozy. They are so cute I don’t know whether to laugh or cry. What a handsome pair.